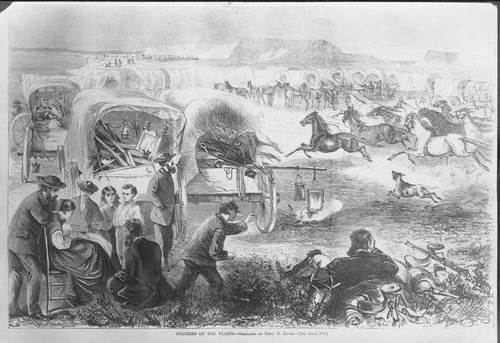 This sketch by Theodore R. Davis shows families crossing the plains in covered wagons. They appear to be stopped for the night and content in the wagons is visible. It was copied from "Harper's Weekly," 1869.